Samuel Amazing Ayoade (Blazing Pen) is the first of three children, born on the 27th day of March, 1995 to a Christian dramatist family. He discovered his natural abilities to write and sing, and worked on himself. 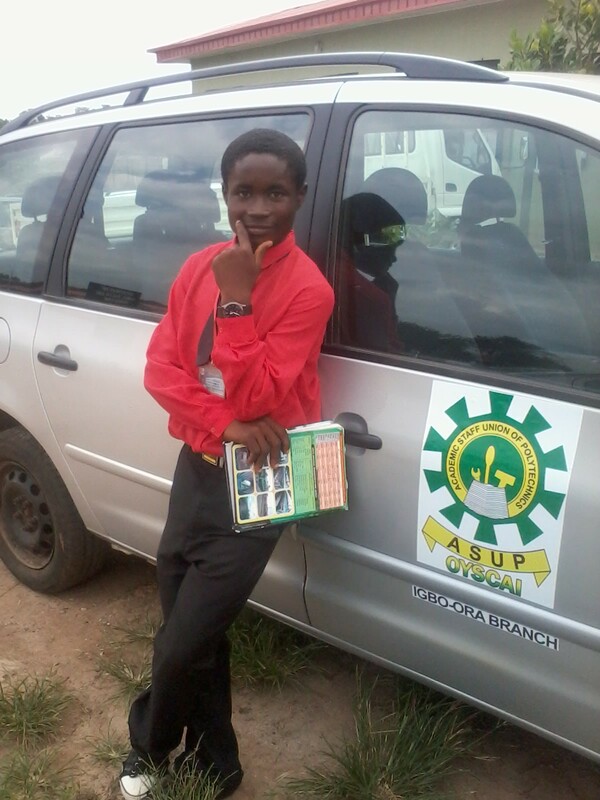 A scientist by education, but artistic at heart, he is a Higher National Diploma student of Animal Health and Production. He started acting at the age of four and wrote his first play at the age of twelve. He has some Christian movies and gospel musical tracks to his credit. 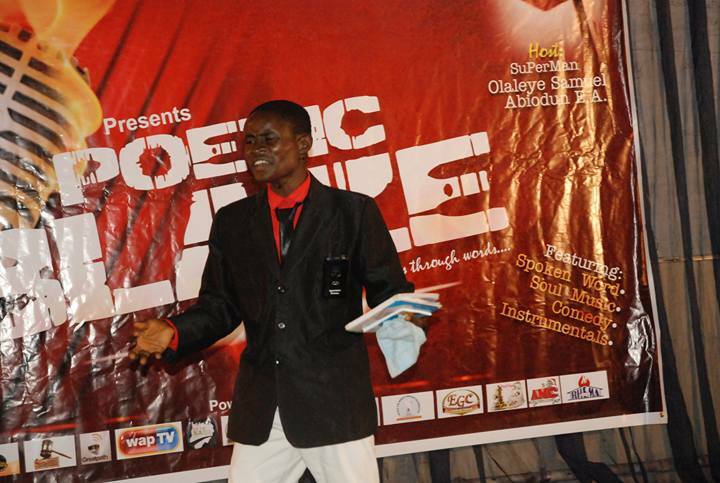 Some of his poems were first published in Wale Owoade’s poetry anthology ‘BLACK COMMUNION’. He is the founder of a literary group ‘CHRYSOLITE WRITERZ’, a singer, poet, writer (of prose, drama, and poetry), an actor and a defender of faith. 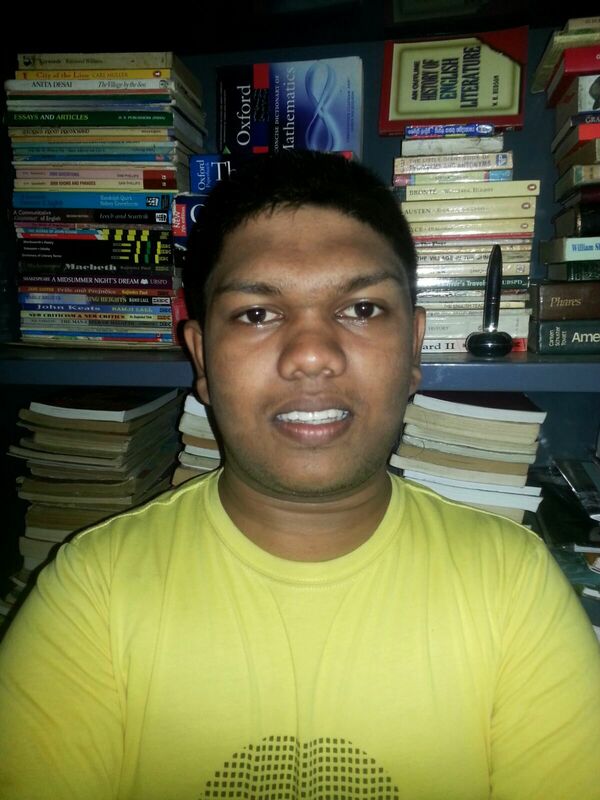 Indunil Madhusankha: You are truly “Amazing” and quite a “Blazing Pen” when it comes to creative writing, especially poetry. How do you perceive the poet in you? IM: I liked and was particularly touched by three of your recently published poems, “Horrors of Planet Africa” (Tuck Magazine), “Horses and Soles” (I am not a silent poet Magazine), and “A Sonnet for My Lost Sisters” (Nigerian POETRY – WRR POETRY). There, I saw how poignantly you expressed your genuine sentiments on the vice of colour segregation. How much do you think this discrimination has shaped your writing? IM: I also went through your poems, “LOVEIATOR” published in Tuck Magazine and “THE CROSS” featured in the Nigerian POETRY – WRR POETRY. I highly commended the stunning concrete imagery and the authentic appeal observable in those poems. What inspires you to think creatively like that? SAA: God inspires, God’s Word has been my support, backbone and every strength so far. Creativity? Everyone has that, so long as you make use of the part of God hidden in your cranium. IM: Please name your favourite piece out of the many poems that you have written so far? SAA: Virtually all. I love my works, but to be particular, the ZOMBIE STREETS Series, most of which are still unpublished. IM: I would like to know about some venues, both digital and print, that your poems have been published, and also about any nominations or awards that you have received. SAA: poetry.wrr.ng, I am not a silent poet, Tuck Magazine, samuelamazing.indonesiaz.com, Literary Planet, parousiamagazine.org, chrysolitewriterz.wordpress.com, pulse.ng, poetrybits.com, allpoetry.com, etc. Nominations, not so many. 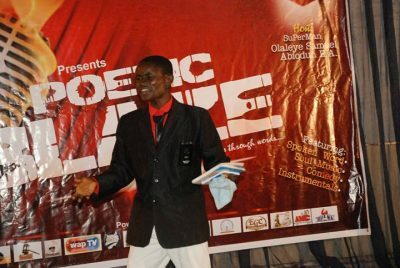 Awards, Poem of the Week December 2015 by pulse.ng. IM: I learnt that you are a student involved in the field of Science (Animal Health and Production) which apparently ‘contradicts’ the liberal arts that you have excelled in. How do you wish to interpret this ‘contradiction’? SAA: Passion is everything. Elechi Chukwudi Bright once said that the human brain has been wired by GOD to perform many functions. IM: Who is your favourite poet and what do you like about his or her writing the most? SAA: Ajise Vincent. He is always deep, concise and revelational. IM: Looking back on the way you have come, what do you think made you a writer? SAA: In-born capacity made me a writer. Criticism and contests developed me. Failure built me. Reading other people’s works has also helped in building the me in my pen. IM: You are a person of multiple artistic accomplishments because you are not just a writer of several genres, but an actor, musician and a singer as well. Also, apart from being a student, professionally you are a teacher and a coordinator. So, how do you find the time for writing amidst your busy schedule? SAA: When interests and time fail, passion persists. IM: Do you write according to a plan? Or, is it at a sudden call that you move onto writing a new piece? IM: What are the challenges that you have faced or are currently facing as a young writer? IM: Some people say that the public interest in literature is gradually dwindling. Do you agree with this statement? SAA: Yes, it’s true. But spoken words have gradually taken over. IM: Unlike in the past, publishing is no longer an unfulfilled dream for the authors in today’s technologically revolutionized world. As a young writer and founder of the literary group, “CHRYSOLITE WRITERS”, what do you think about the way in which digital platforms have contributed to the promotion of creative writing in the present context? SAA: Very well, especially the internet. It gives voices to unheard trachea laying down in silenced silences. IM: Finally, what message would you like to deliver to the emerging writers as an accomplished young poet? SAA: Whatsoever your hand findeth to do, do it with all the strength in you. You may be neglected and deserted. But one day, you will become a monument for generations yet in the loins. IM: Thank you very much, dear Samuel Amazing Ayoade. I highly appreciate the valuable opportunity that you offered me to interview you on your writings and your views regarding poetics. SAA: It’s my pleasure sir.